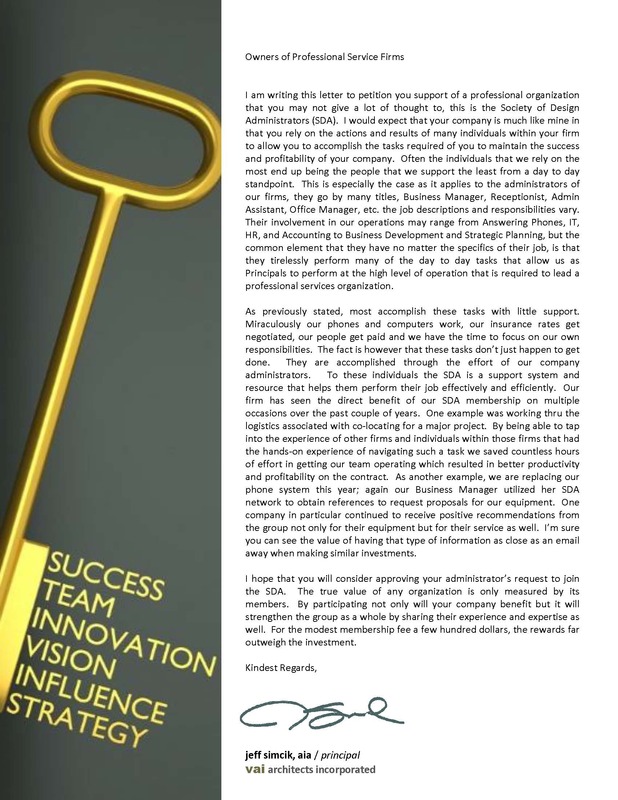 SDA is the only acknowledged organization that fosters the development of administrative business professionals specific to the architectural, engineering and construction industry. Advancing knowledge within The Society for Design Administration provides our members exposure to “Best Practices” in the industry that have meaningful impact to your bottom line. Our local networking events will put you in touch with many great resources on a regular basis that have meaningful impact; and attending EDSymposium19 will surround you with hundreds of resources from industry experts across the country in a few short days. We are the SDA, and invite you to connect with our team of extraordinary professionals!